Malaysiakini : COMMENT | "I have always thought that if women's hair posed so many problems, God would certainly have made us bald." - Marjane Satrapi, "Persepolis"
Muslim-only launderettes and banning frontline staff from wearing headscarves are not the same thing. It is not hypocritical to object to the former and have no opinion of the latter or even not object to it at all. There is a big difference between discriminating against a person based on race or religion and having a dress code that may – may – affect some people because of how they identify with their religion. Some Muslim women wear headscarves. Some Muslim women do not. 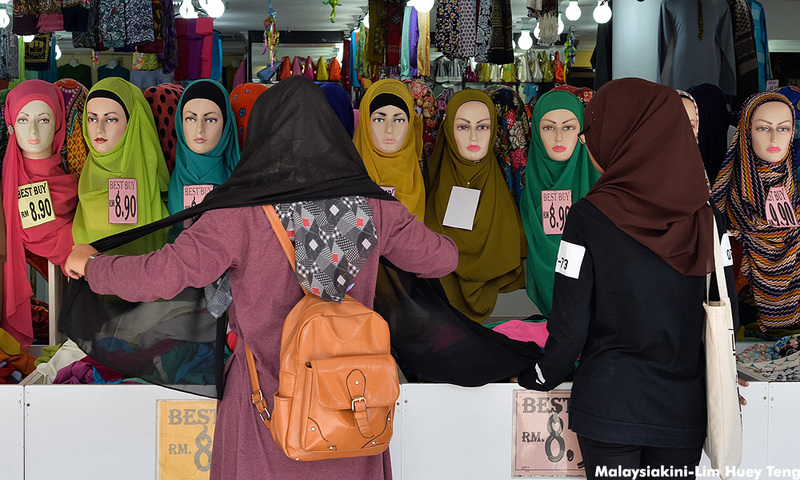 There is enough empirical evidence to suggest that many Muslim women face pressure to wear the headscarf, indeed one Malaysiakini columnist related how her college-going daughter was pressured by her female contemporaries to “cover up” but chose to deal with it in her own way. This idea that there is freedom of religion in this country for the majority, with apostasy laws, with rehabilitation camps for those who deviate, with verboten words for non-Muslims and the constant threats not to interfere with Islam, makes a mockery of the principle of freedom of religion. The incidents of unilateral conversions, forced conversion by state agencies and the countless court cases involving the trespass of the religion of the state into our private and public domains, is also evidence that freedom of religion is more word than deed in this country. This is the context some people are choosing to ignore. Furthermore, this is not a question of religious beliefs. Nobody is discriminating against Muslims in this instance. This is more to do with freedom of expression. Some – some – Muslim women choose to express their religious beliefs by covering up.